Go all in for your hometown team. 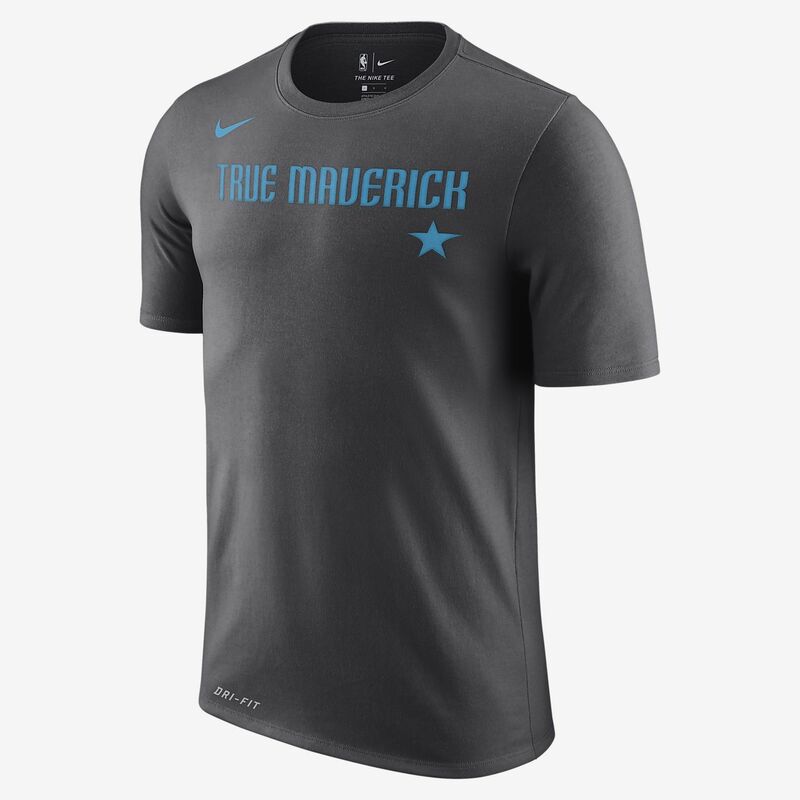 The Dallas Mavericks City Edition T-Shirt is made from soft, sweat-wicking fabric and features a graphic borrowed from the team's City Edition kit. A T-SHIRT TO SHOW HOMETOWN PRIDE. Go all in for your hometown team. The Dallas Mavericks City Edition T-Shirt is made from soft, sweat-wicking fabric and features a graphic borrowed from the team&apos;s City Edition kit. Have your say. Be the first to review the Dallas Mavericks City Edition Nike Dri-FIT.